Sit on one of three decks and enjoy the spectacular Great Smokeys.. High enough for great views but with easy access all year long. 'Mountain Peeks' cabin is over 2,000 square feet: the first level features a living area with fireplace, tv, and fully equipped kitchen along with a master bedroom with queen bed, tv and bath and a guest bedroom with hall bath. The lower level includes a large game room with game table, fireplace, wet bar with coffee maker and microwave with a beautiful bedroom with queen bed, tv and bath. A private deck rounds out the lower level. Enjoy privacy with a complete living area on each floor with cozy fireplace. Fall brings the majesty of nature's paintbrush upon the mountains. Winter provides family skiing, tubing and white caps upon the mountains. Spring produces new growth, melting snows enhance the bountiful streams and waterfalls. Summer is a time of cooler temperatures for outside activities including the renowned Folkmoot. Throughout the year enjoy elk watching at Cataloochee National Park, hiking, the Blue Ridge Parkway, golfing, tennis, horseback riding and countless other activities .Lake Junaluska, 5 miles away, provides an exceptional and picturesque walk around the lake that is handicap friendly. Excellent Christian speakers and concerts are available during the year-check their website.A short drive to Asheville and you can enjoy the Biltmore House. Our cabin is tastefully decorated in log cabin style making for a cozy retreat. Snuggle in front of the gas log fireplaces with hot chocolate on cool nights. Enjoy relaxing in the front porch rockers, Breathe clean Mountain air while cooking steaks on the gas grill and enjoy God's creation. Or visit a variety of wonderful restaurants available locally. Note the parking pad holds three vehicles, or two vehicles and a trailer no longer than a total of 20 feet. Arrangements must be made in advance if you have additional parking needs. We chose to buy in the mountains to enjoy the cool summers and skiing in the winter. It is relaxing to sit on the deck and read or just enjoy the view. Maggie Valley is a small, calm town away from the hustle and bustle of the city. Life operates on a much slower pace. Awesome stay! Even better host! We had a wonderful time in the cabin. Larry was such a great host. From the day we booked, he promptly answered all my questions and provided a wealth of information. He also worked with and allowed us to push back our arrival and departure dates due to a last minute emergency. The cabin was extremely clean and had plenty of room for our family. Our kids had such a great time playing the board games and the nintendo 64. The fully furnished kitchen was also put to good use. 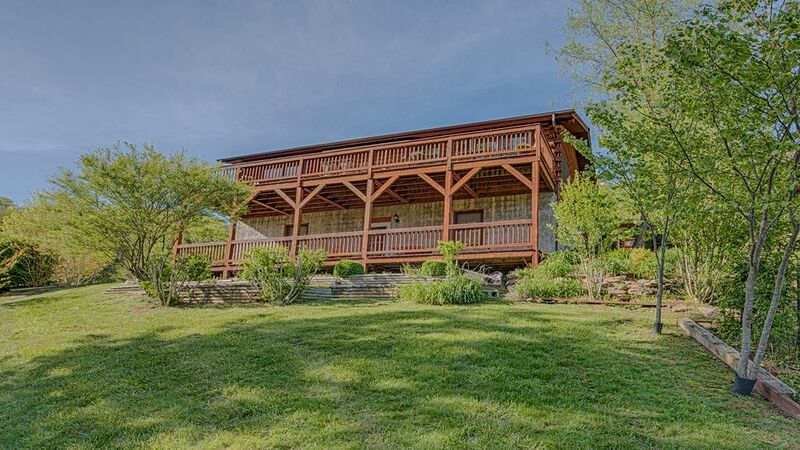 We would not hesitate to stay here again next time we go to Maggie Valley for some skiing. Clean and very spacious. Nice, perfect stay. We enjoyed our stay. The place was clean, spacious, abundance of blankets, pillows, towels, etc. Owner is a pleasure to work with. We enjoyed our weekend in Maggie Valley. This cabin is close to everything. Nicely decorated and very comfortable! Thanks for coming. We aim to please. Snow tubing is just around the corner. The cabin has plenty room. Rates are for up to 4. an additional fee if over 4.